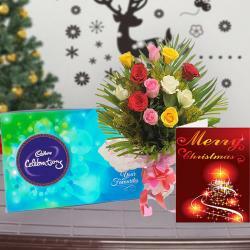 Product Consists : Cadbury Celebration Chocolate Box (Weight : 118 gms), Assorted Cookies (Weight 500 gms) along with Christmas Greeting Card. 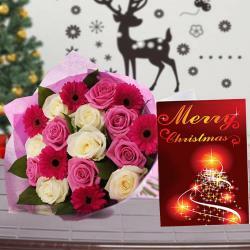 This gift combo is perfect for Christmas gifting to anyone as it contains best suited items for Christmas. 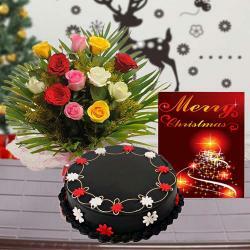 It contains all the items that are required for one tempting gift hamper. It includes one Box of irresistible Cadbury celebration chocolate, assorted butter, dry fruits and chocolate chip cookies and one Christmas greetings card. Chocolates are considered best for gifting as its something which is loved by everyone and the chocolate Box of this gift combo contains 3-4 varieties of Cadbury chocolate. The cookies on this combo are very rich in taste and looks. Its a perfect snack to be served to guests. 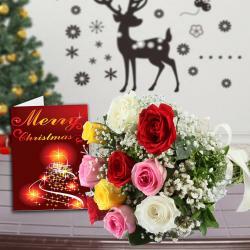 One Christmas greeting Card is also available on this gift combo which makes it perfect for Christmas gifting. 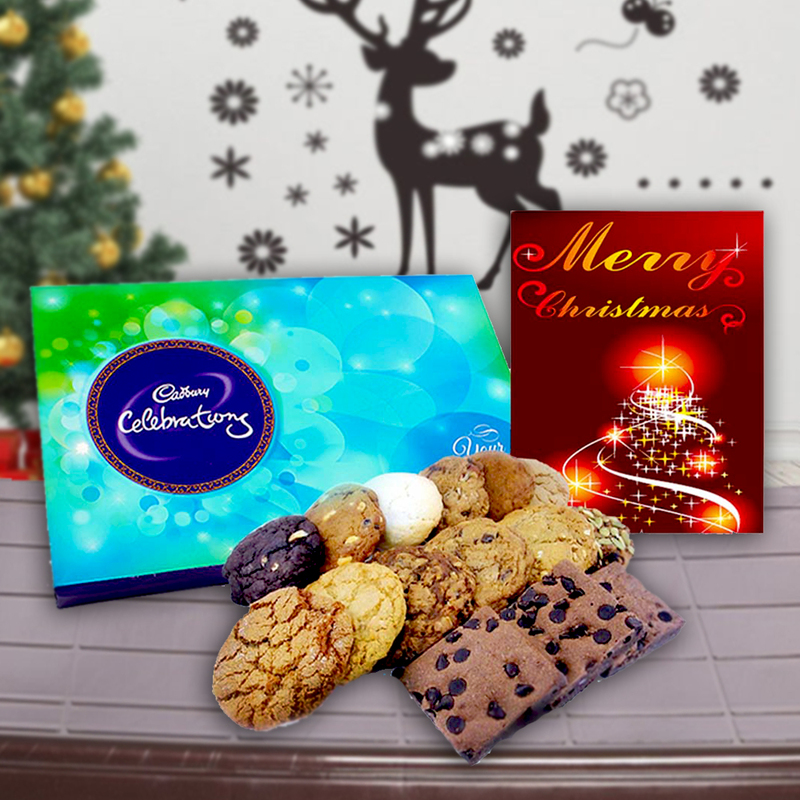 Product Consists : Cadbury Celebration Chocolate Box (Weight : 118 gms), Assorted Cookies (Weight 500 gms) along with Christmas Greeting Card.